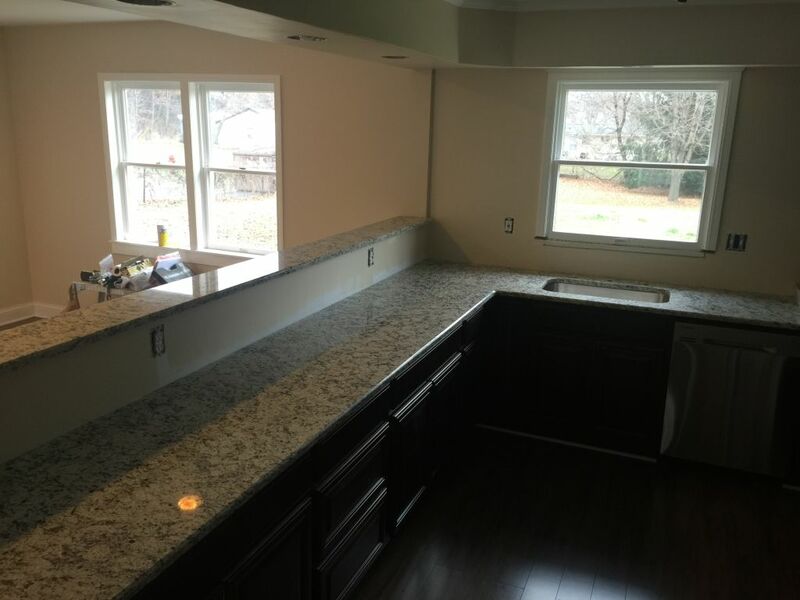 The best Quality finish of White Ornamental Granite Countertops for Kitchen . With Stainless Steel Under mount sink for this renovated kitchen . The coast price was very reasonable to the home investor . With Granite Countertops is the Best way to sale the house as quick as possible . We guarantee our customers Satisfactury . I don’t know where to start with the best experience I’ve ever had working with a company for home renovation! 1) they were super patient with me when I changed my mind and was undeceive. 2) they weren’t pushy or trying to push products on me. 3) they called me everytime they had a new order in that had slabs that I might be interested in. They were honest about the different materials. They worked with my budget and were super helpful. The best part was the amazing job they did once I choose a beautiful slab. They were professional and clean with their work, they even answered questions for me after they gave me some guidelines. They totally surpassed mine and my husband’s exceptions. Everyone that walks in my kitchen loves their work: they cut the slab according to the natural lines in the quartzite! I love my kitchen!!! Will work with them again when it comes time to remodel the master bath and other bathrooms in our home. Get Up to 60% off our Exotic Colors CALL 248-720-4000 NOW!